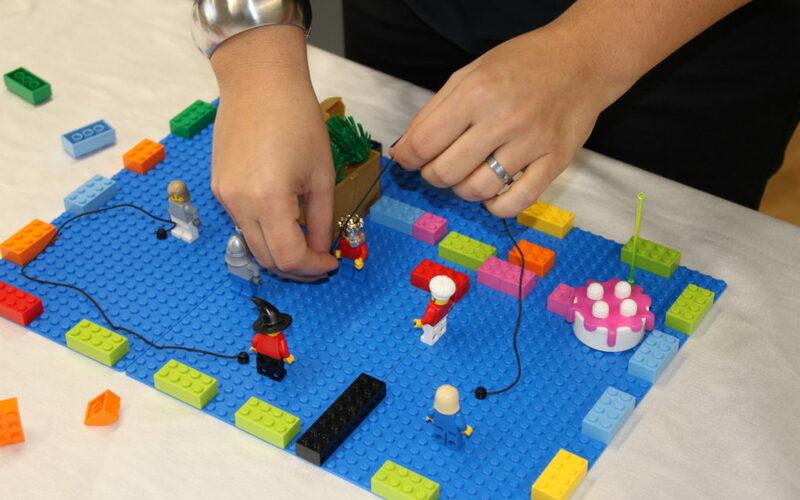 “When A group uses the LEGO® SERIOUS PLAY® methodology for the first time, they need to learn to speak a new language in 3 dimensions and to participate in more democratic meetings that we call, meetings 100 * 100 . For that we use the development of basic skills, is a series of activities that make people enter FLOW, in the area of optimal experience. The goal is to create a safe environment for people to express with freedom and security what they think and feel, using a new way of communicating, a new language, called LEGO® SERIOUS PLAY®. Lego delavnica prinaša nove uvide in konkretne rešitve! 80% se jih “šlepa” … Poznate občutek!